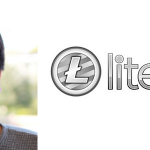 Litecoin cryptocurrency co-founder, Charlie Lee, said that he did not intend to buy coins again, which in due time sold at the peak of the price, even if today they cost much less. He said this in an interview with CNBC. In December last year, when the market of cryptocurrency was on the rise, Charlie Lee said that he had sold all his LTC. His decision, he explained that he did not want accused of personally influencing the fluctuations in the price of the cryptocurrency. 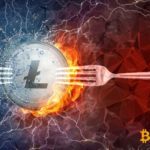 "I sold [the coins] because I wanted to avoid a conflict of interest," Charlie Lee said when asked if he does not consider the current time when LTC costs about $ 60, profitable to "buy" again. Nevertheless, he agreed that the moment is really good, adding that " I would recommend people to do." Recall, in April of this year, Charlie Lee still recognized that the decision to sell all his LTC coins, when the price reached a record high, was not entirely correct, since it had a negative effect on the course of digital silver in the short term. 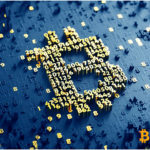 Nevertheless, he recalled that Litecoin should be truly decentralized and that he would not like to influence the course of this crypto currency alone. "Sometimes it can take six months, sometimes several years." Is Cryptocurrency Mining Still Profitable In 2018? © 2018 bit.news | queries 230, for 0.159 sec.